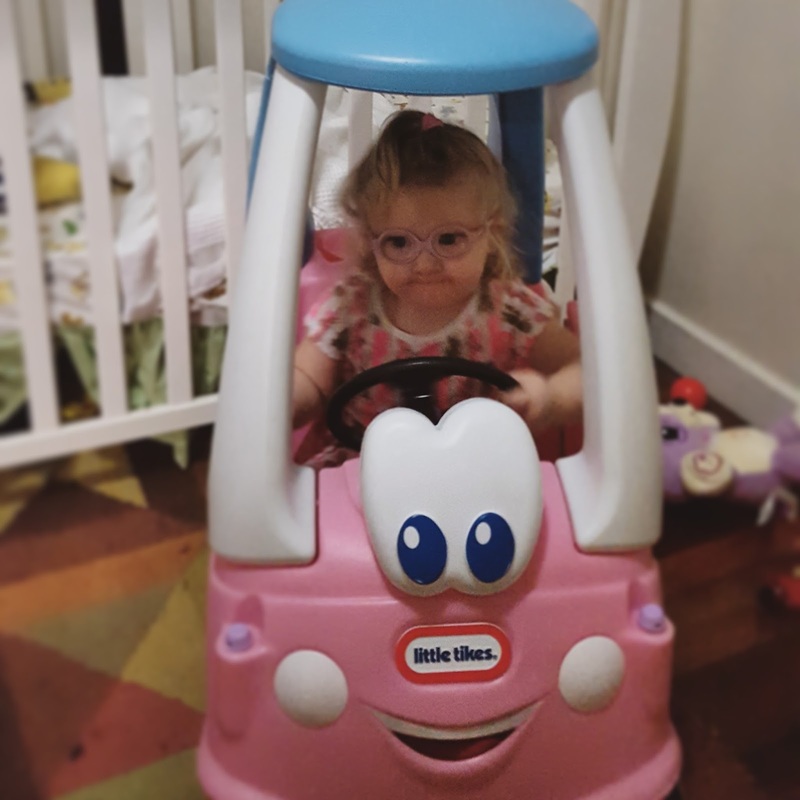 I had a photo of us in the car for this prompt, but then we went to visit Aunty Sam and her cousin has a little tikes car and bub was in heaven. I'm thinking we may have to put one of these on the list of possible presents for Christmas. Reminder - next weeks prompt is hands. That is so stinkin' cute! I love the look of determination on her face! She was being so serious lol spinning the wheel around like she was driving. Love the look of concentration on her face ... the other eejit drivers had better watch out! It was so funny she was spinning the wheel and beeping the invisible horn at them. How adorable and what a determined look your daughter has. Definitely looks like she has places to go. Yea I don't know where she was going but she was definitely determined to get there! Oh my boys adored their little tykes cars - best investment ever. PS Bub looks so cute. I think I'll have to convince daddy she needs one for Christmas.